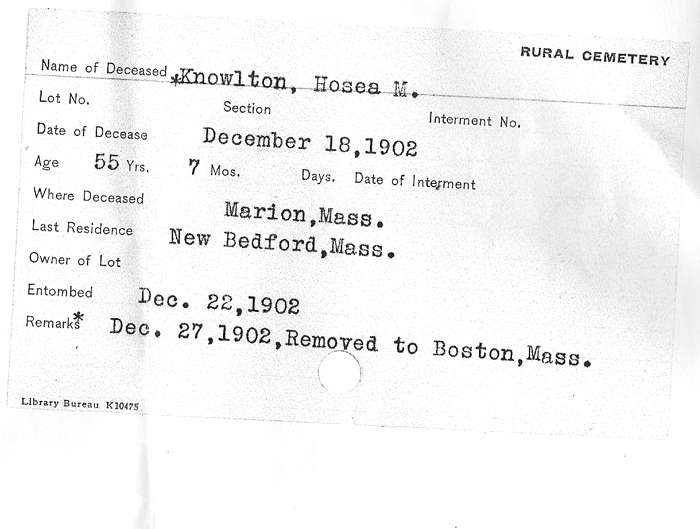 The documentation regarding the final disposal of Hosea Knowlton’s ashes after they left Forest Hills in Boston, to the scattering over the fishing pond in Marion has arrived from the town hall office of records. 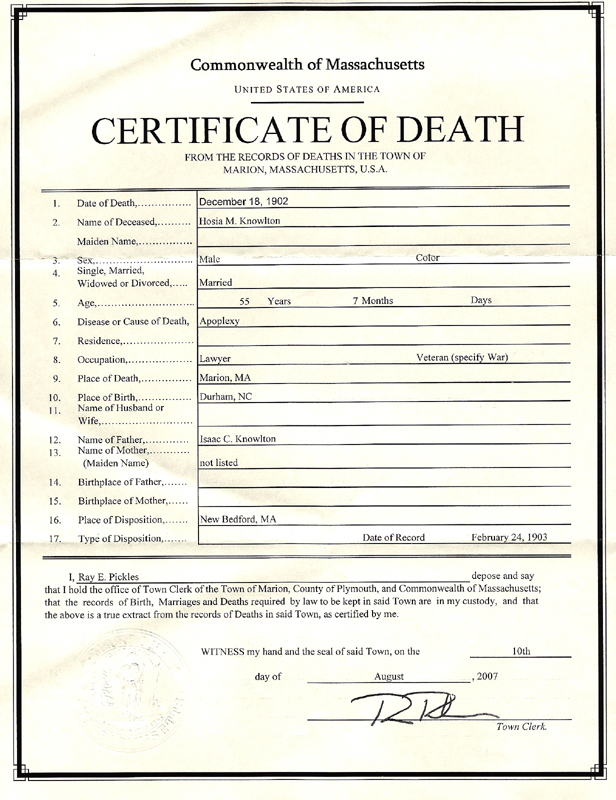 The first document is a file card from The Rural Cemetery of New Bedford. The second and third photos below are copies from the original record, detailing the death on Decemeber 18, 1902.